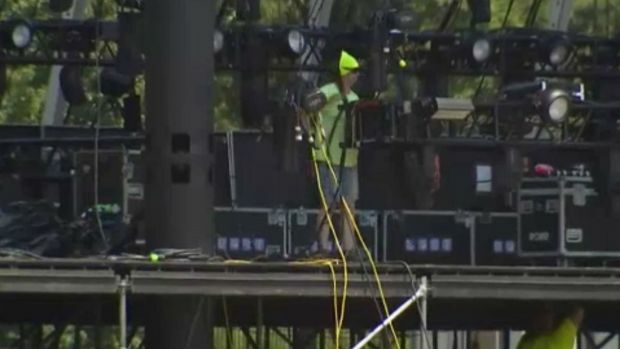 Whether you're going or not, Lollapalooza in Chicago could impact your travel, starting Monday. Sandra Torres reports. 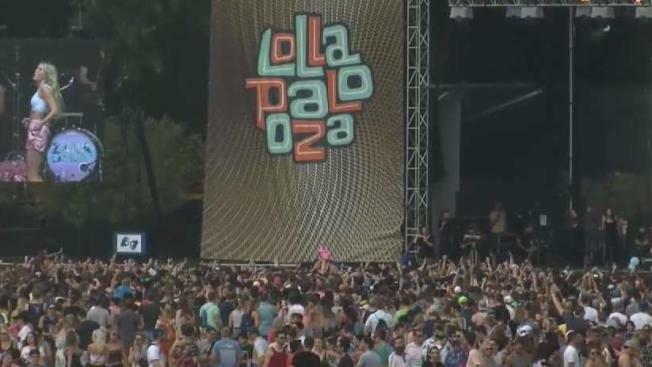 Whether you're going or not, Lollapalooza in Chicago could impact your travel, starting Monday. With street closures, modified train schedules and more, the popular four-day music festival, set to begin Thursday, will draw thousands to the city. Street Closures: Street closures around the festival begin Monday. Streets are shutting down and fences are going up around Grant Park ahead of the annual music fest Lollapalooza 2018. This year new restrictions are in place on what you can bring inside the 4-day festival. NBC 5's Lexi Sutter has the details. Columbus Drive will be closed from Monroe Street to Roosevelt Road. Lake Shore Drive or State Street can be used as alternate routes around the festival crowds and closures. Public Transportation: Officials are encouraging concertgoers to use ublic transportation. Both CTA and Metra are providing additional service for the event. For more information, visit CTA at www.transitchicago.com and www.metrarail.com. Beginning Thursday, CTA will add service on rail lines and ubs routes and Metra will provide extra trains and adjust schedules on most lines. Alcohol will be prohibited on Metra trains after 7 p.m. Thursday and Friday and all on Saturday and Sunday. Bicycles will not be accomdated, according to the rail agency. Taxi Cabs and Car Service: For those traveling to and from the event by taxi or car service, pick-up and drop-off locations will be west of State Street, between Randolph Street and Roosevelt Road. ADA Drop-Off: ADA drop-off is located at the eastbound curb lane of Monroe from Michigan Avenue to Columbus Drive. Security and Enforcement: Several new safety measures are in effect for the festival this year. Upgrades include more police officers, new bag restrictions and airport-like screening at entrances to the Grant Park venue. Both the city and the event organizers say they have increased resources, including uniformed and plain clothed personnel. Attendees are being asked if they see something suspicious to say something to on-site security personnel or call 9-1-1. Police Superintendent Eddie Johnson told reporters Friday there were no known threats to the festival. But it comes after gunman Stephen Paddock killed 58 people at a country music festival in Las Vegas last October from a 32nd-floor suite. Authorities have said previously Paddock booked rooms overlooking 2017's Lollapalooza, though he never showed up. Lineup: Lollapalooza's 2018 lineup includes major headlining acts like The Weeknd, Bruno Mars, Jack White, The National, Travis Scott, Vampire Weekend and dozens of others. See more here. The lineup, released at 10 a.m. Wednesday, includes big-name artists like The National, Travis Scott, Vampire Weekend and dozens of others. Bag Search and Express Lanes: NEW this year: Backpacks are not allowed. Only single-pocket drawstring bags, small purses and totes are allowed. Those who do not bring a bag can enter through the No Bag Express Lane. Those who do have a bag must enter through the Bag Lane and expect delays as bags are open for inspection. All bags will be searched before entry and bag sizes will be limited to 14” x 11” x 5” or smaller. Prohibited Items:NEW this year: No liquids will be allowed; however, empty containers and hydration packs are allowed but must be emptied of all liquid and have no more than two pockets in addition to the one holding the water reservoir. Free water at Hydration Stations will be provided inside the venue, which have increased by 20 percent in response to the security change. For more information on prohibited items, see the website at www.lollapalooza.com/information. Public Safety Alerts: Beginning Monday, you can opt-in to receive NotifyChicago alert messages specific to the event by texting Lolla18 to 81437. Notifications will include weather, traffic, and any other public safety messages related to Lollapalooza. Lockers and Lost and Found: Lockers are available for rent just south of the main entrance off Congress. Lost and Found is located at the Info Tent at Columbus and Congress, and attendees can search for missing items at www.lollapalooza.com/lostfound. Entry/Re-Entry: Concertgoers should have wristbands securely fastened on their right wrist and visible to security as they enter the festival grounds. All ticketholders are allowed to re-enter the festival three times per day after initial entry. You must be scanned upon exit at the gate in order to re-enter that same day. Ticketholders and their belongings will be searched upon entry and every re-entry to the park. Medical Safety Resources: Organizers are again complementing the emergency medical resources available at the event with student Safety Team members. The EMT and medical students serving as the Safety Team will be outfitted in light blue t-shirts and will be located throughout Grant Park to seek out patrons who may be in need and help expedite connection with the mobile medic teams so that they get to patients quicker. Weather Shelters: Emergency evacuation shelter sites are located in the Grant Park North, Grant Park South and Millennium Lakeside Garages. Blue and white signage is posted to direct people to designated extreme weather shelters for extreme conditions such as lightning, tornadoes, hail storms or other weather events. The three primary emergency evacuation shelter sites can be accessed through the vehicle entrance on Michigan Avenue. Weather Conditions: As of Monday, temperatures were expected to sit in the mid-80s with possible storms on Thursday and temperatures dropping to the low-70s Friday and Saturday. Conditions return to the 80s by Sunday. Cooling buses and water stations are available throughout the festival and fans are encouraged to bring empty water bottles to the event, and utilize the free water refilling stations around the park to avoid dehydration.